The American Civil Liberties Union remembers and appreciates all of our dedicated supporters who made important bequests to further our advocacy. Some of our more recent legacy donors are featured on this page. The philanthropy of our legacy donors ensures that the ACLU will be striving for freedom and equality for all in the years to come. If you would like us to feature an ACLU legacy donor whose story does not appear on this page, please contact our Planned Giving Department at (415) 621-2493 or at desilver@aclunc.org. The ACLU remembers Rudolph Hurwich with fondness and respect. A serial entrepreneur, inventor, philanthropist, investor and generous supporter of liberal causes and creative endeavors, he died peacefully at his Oakland home on Aug. 2, 2014. He was 92 years old. Abdi Soltani, the ACLU-NC's Executive Director, said, "I was honored to know Rudy for the past five years. In every interaction with Rudy I could see two things in his eyes: kindness and commitment." Rudy was admired by business leaders for his expertise as a manager and for his calm demeanor. He developed and led a number of successful businesses, including Dymo Industries (legendary maker of the hand held rotary label embosser). He was also involved with Hibbard Aviation and Metropolitan Furniture. Rudy most recently co-founded and led the PolyPlus Battery Company (based on a new battery technology chosen by Time as one of the 50 Best Inventions of 2011). Rudy and his beloved wife Janet met in 1974 as she was getting off an elevator at the Dymo headquarters in San Francisco. They became inseparable partners in love, family business investments, and philanthropy for 40 years. Rudy was born in Chicago and his career began as an after-school clerk at his parents' neighborhood department store. Rudy learned his management style from his parents and brought their respect for customers and employees into all his businesses. One long-time Dymo employee said, "If CEOs and politicians in this day and age could follow in this man's footsteps, the world would be a better place." Rudy earned his engineering degree at MIT and served in World War II in the South Pacific. He moved to the Bay Area in 1948. The Abiding Abbot of the San Francisco Zen Center, Ed Sattizahn, notes that "Rudy exemplified the ideals of a Buddhist life—wisdom and compassion skillfully expressed in the ordinary circumstances of everyday life." Rudy gave substance to his personal values with financial support for social advocacy and humanitarian organizations, including the ACLU, MoveOn, Planned Parenthood and the Union of Concerned Scientists. He also supported a number of progressive politicians and was a keen observer of the national scene. Rudy often said that he made money so that he could give it away to organizations and people, and improve community where government "wasn't doing its job." For all of his business and philanthropic accomplishments, Rudy used to say that his proudest achievement was his listing on President Nixon's second "enemies list." Rudy's name likely made the list because of his leadership role in a national organization of business executives opposed to the Vietnam War. The ACLU is grateful that Rudy remembered the ACLU in his Will, and proud to honor his commitment to social justice through the advocacy that his bequest enables. Ruth Hall Vurek was born in Baltimore, MD in 1932. After graduating from high school in 1949, she went to work at the Johns Hopkins library and later in the Department of Psychiatry, earning her way through the Johns Hopkins evening school and graduating with a B. S. in Psychology in 1955. Ruth met her husband Jerry while he was at the National Institutes of Health in Bethesda, MD. They were married in 1959, and their son, Matthew, was born in 1961. Ruth and Jerry have been loyal supporters of the ACLU for more than 40 years. Having seen the segregation in Baltimore, Ruth was committed to fighting racism. She was active in the Montgomery County Council for Fair Housing and, when she moved to Mountain View, the Mid-Peninsula Coalition for Fair Housing. Here, she served on the Board of the ACLU's Mid-Peninsula Chapter and volunteered with the legal intake hotline. In addition, she was on the Board of Directors of the Lorraine Hansberry Theatre and a supporter of the African-American Shakespeare Company in San Francisco. For Ruth, politics was a passion. She grew up in a Democratic family and identified as firmly in the liberal progressive wing. She was active in the anti-Vietnam war movement, participating in anti-war marches in DC. After the 1968 Chicago Democratic Convention and riot, Ruth and a group of others formed the Alliance for Democratic Reform and got themselves onto the Montgomery County Democratic Central Committee. She was twice a candidate in Montgomery County, in 1978 for Sheriff and 1982 for Clerk of the Court. She was also a member of the Democratic State Central Committee both in Maryland and California. In 1984-85, Ruth worked as a volunteer and a staff member of the Utah Democratic Party in Salt Lake City. In 1986, she and Jerry moved to Mountain View and resided there until 1999, when they retired to Orinda. Ruth held a wide variety of positions over the course of her life, including teaching elementary school children in Prince Georges County, MD, working in the offices of commercial enterprises and the Department of Pediatrics at Stanford Medical School, and finally as a real estate agent and broker. She was also active in tutoring children in DC suburbs and West Oakland, CA, reading to children in West Contra Costa County elementary schools, and helping to prepare income tax returns for seniors and low income people, as well as volunteering as librarian at Alcatraz. After retiring, Ruth continued to actively volunteer and play tennis, going to the USTA finals in Tucson. She and Jerry traveled extensively and Ruth developed the symptoms of pancreatic cancer while in Botswana in 2001. She survived the disease and treatment for another 14 years. Ruth passed on March 15, 2015. She will be remembered for her generous spirit and passionate dedication to advancing equality. Elizabeth Hoag was a longtime resident of Northern California and a passionate advocate for education and improving the lives of Californians. Elizabeth grew up in a rural suburb of Grants Pass, Oregon, as the youngest of eight siblings. She went on to attend Pasadena City College (PCC) in Arcadia, California. While studying at PCC, Elizabeth met her husband Lyle. Soon after, the penniless pair eloped in Las Vegas. They relocated to Northern California, where Elizabeth earned an MA from California State University in 1970, and they raised their three children. Lyle remembers that as soon as he and Elizabeth finished school, secured jobs, and could afford to give to the causes they believed in, they joined the ACLU--and have remained supporters for more than half a century. Elizabeth began her career working as a researcher for Kaiser Permanente. 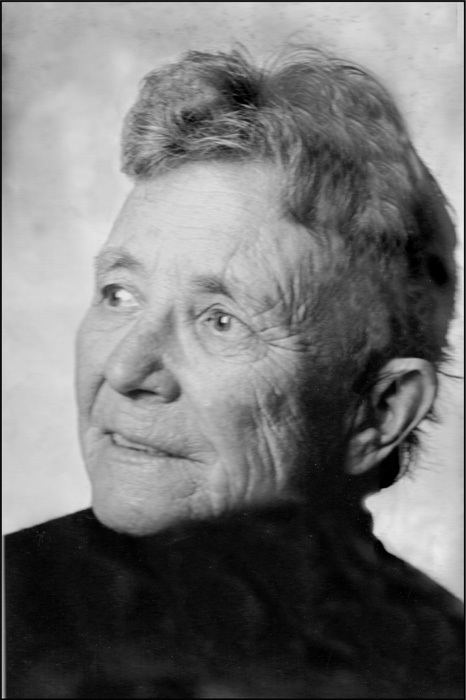 After she and Lyle moved to Sacramento, Elizabeth became a Manager of California’s Demographic Research, where she tracked life statistics of the 35 million residents of the state. At their home in Fair Oaks, they cultivated a large garden bordering the American River Parkway and enjoyed walking with their dogs along the parkway trails. Elizabeth and Lyle traveled avidly together, visiting every US state, 140 countries, and all continents. Elizabeth passed away on June 27, 2015 at the age of 83, leaving a generous bequest to the ACLU to advance freedom and equality. Caroline “Brownie” Bergh lived a life dedicated to helping others and creating social change through community leadership and volunteerism. Brownie was born on March 26, 1920 in Washington DC. After graduating from Vassar College in 1943 with a degree in Spanish, she went to work for an international airline based in Miami. Outraged at the racial discrimination she was required to enforce as part of her duties, she quit her job and entered the Navy Reserve. After the war, she and her husband Dana engaged in a wide range of endeavors and raised four children. Brownie poured her prodigious energies into volunteer work. Being trilingual, with a smattering of Russian as well, she was an ESL teacher and served as a translator for social workers in Rochester, NY. Upon their move to Vermont in 1973, she and Dana volunteered heavily as fundraisers for local nonprofit organizations, often in leadership positions, including Vermont ETV, the Vermont Mozart Festival, and a small private school for special needs and troubled children. They were early public advocates for gay rights and active supporters of ACLU. They were also co-founders of a local foods co-op and hosted international exchange students through Rotary International. After Dana’s death in 1989, Brownie dedicated more of herself to her community, particularly the ACLU-Vermont, where she served on the board of directors for six years (the maximum consecutive amount allowed at the time) from 1993-1998. She also served on the development committee, chairing it from 1995-1998, and received their development award in 1994. An avid traveler, feminist and advocate for health equity worldwide, Carlyn Jean Halde dedicated her life to learning and teaching. Carlyn grew up in Southern California and earned a Bachelors in Zoology and Masters in Microbiology at UCLA. Afterwards, she took a position teaching medical mycology at the University of Hawaii. Carlyn was awarded one of the first Fulbright scholarships, which enabled her to teach at the University of the Philippines Institute of Hygiene, and travel giving lectures throughout Southeast Asia. Carlyn went on to receive her doctorate in Medical Microbiology at Duke University in North Carolina. During this time, she experienced sexism first hand in her profession and witnessed the pervasive racism of the segregated South. Her experiences in North Carolina made her an even stronger proponent of movements to end discrimination based on race and gender, and reinforced her connection to the ACLU. Following graduate school, Carlyn joined the faculty of the University of San Francisco, where she taught and worked in the clinical labs. After retiring at the age of 65, she continued teaching at UCSF, giving her time as an unpaid volunteer to help educate medical, dental, and pharmacy students. Carlyn was a recipient of the Strobel Research fund for her work on tuberculosis. She also served on the board of the Breathe California Golden Gate Public Health Partnership, and was involved with multiple public health service projects abroad. Carlyn died on June 11, 2014 at the age of 90. She remained a devoted educator and leader in the medical community until the end of her life. Mary and Russell Jorgensen were lifelong proponents of peace and social justice. Mary was born in 1916 in Wabash, Indiana. After graduating from Manchester College in Indiana, she taught elementary school and preschool, and helped to open a private Quaker high school in Nevada City, California. Russell was born in 1917, and both he and Mary believed strongly in Quaker values from an early age. Russell attended the University of Wisconsin for an undergraduate degree in economics, and earned his master’s degree in Christian ethics from the Pacific School of Religion in Berkeley. The two were married for 68 years, during which time they traveled to Tanzania and the Middle East for Russell’s service work organizing projects. In 1973, they helped establish an intentional community in Santa Rosa, called Monan's Rill, where they lived until moving to Nevada City in 2001. Mary and Russell were also involved in civil rights activism. During the 1960s, they joined the “Freedom Riders” and were arrested for desegregating a restaurant in Jackson, Mississippi. As a result, they spent a week in the Jackson County Jail. Their son, Eric Jorgensen, recalls his parents’ engagement in social and political activism for as long as he can remember. As a conscientious objector, Russell was particularly drawn to the ACLU for its early advocacy on behalf of conscientious objectors during World War II. The Jorgensens were also involved in efforts to pass the anti-discriminatory California Fair Employment and Housing Act in 1959. For many years, the two enjoyed hiking in the California High Sierra. Russell died on November 4, 2009, and Mary on July 23, 2014, together leaving a legacy for social justice and equality with the ACLU. Robert B. McCreadie (Bob) was a longtime resident of Marin County. He believed so strongly in the importance of protecting our First Amendment rights and freedom of speech that he made a very generous bequest to the ACLU. A graduate of Hastings College of Law, Bob worked in the Kennedy Administration at the Department of Justice, where he played a role in some of the key civil rights cases during the 1960s. 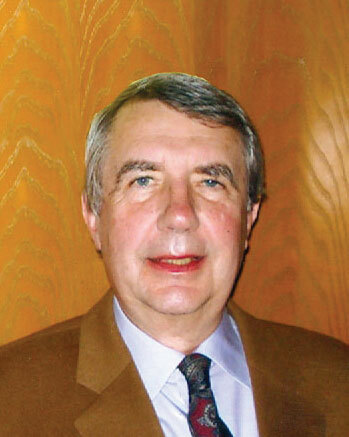 Bob opened his private law practice in Marin County in 1965 with an emphasis on criminal law defense and family law. He was one of the first Certified Family Law Specialists authorized and recognized by the State Bar of California. Following his retirement in 1995, Bob took on part-time volunteer work with the Marin County Court Systems as a Judge Pro Tem, heading the successful Family Law Bench-Bar Settlement Conference program in the Marin Superior Court, and supervising more than 1,200 family law settlements over an 18-year period. Lucietta Irwin and Meryle Malecheski were dedicated advocates of social and environmental justice and longtime residents of the San Francisco Bay Area. Lu and Meryle shared more than 40 years together as partners in social activism and life. Lu passed away on January 29, 2015, six months after Meryle passed on July 7, 2014. Lu was born in El Paso, Texas in 1923, and Meryle in 1919 in Artesia, New Mexico, where the couple met. After graduating with an undergraduate degree in psychology and education from Roosevelt University in Chicago, Lu earned a Master of Social Work from Wayne University in Detroit, Michigan in 1949, and received her California teaching credentials from San Francisco State College in 1956. Lu spent her career as a social worker in the Berkeley Unified School District, where she was deeply involved in the racial integration of the Berkeley schools. Meryle attended the University of California, Berkeley and received a Master in Sociology and Early Childhood Education and Administration at Highlands University in Las Vegas, NM. She taught preschool and directed a Headstart program in northern New Mexico. Before meeting Lu, Meryle was married to Henry Malcheski, who was represented by ACLU attorney and ACLU-NC founder Ernest Besig during the McCarthy era. Members of the Livermore Action Group, Lu and Meryle were among the thousand protestors at the Livermore Nuclear Lab in 1985 who were arrested and spent two weeks in jail. Also in the 1980s, they traveled to Nicaragua and Guatemala to participate in peacekeeping efforts. Lu was a self-described “Unitarian-Buddhist-Quaker.” In 2005, the two moved from Berkeley to Friends House in Santa Rosa, where this photograph was taken. Lu and Meryle were longtime supporters of the ACLU. Jon Henry Kouba was a longtime resident of San Francisco, and he actively served the community through his leadership and philanthropy. A political science major and graduate of the University of Michigan Law School, Jon was president of the San Francisco Redevelopment Agency, served as a delegate at the 1984 Democratic Convention, and was actively involved in the campaigns of Democratic candidates, including Dianne Feinstein, Al Gore, John Kerry, and Barack Obama. Jon's partner, Mark Eriksson, recalls that Jon first joined the ACLU in the late 1970s, when so many people were fleeing the organization because they disagreed with our defense of First Amendment rights in the case National Socialist Party of America v. Village of Skokie. Jon admired the ACLU for taking an unpopular and courageous position to protect freedom of speech and assembly, and so decided to become a member. Since then, Jon's generosity has allowed the ACLU to expand its work to fight for and protect civil liberties in Northern California and beyond. His special support of the ACLU's LGBT Rights Project has bolstered their efforts to end discrimination against LGBT people. Jon will be remembered for his enduring commitment to equality, and readiness to take a stand to defend civil liberties. Dorothy Fowler's life of activism began when she arrived in the Bay Area in the 1960s and came out as a lesbian. Dotty dedicated the next half-century of her life to service to the LGBT community, especially its senior members. Dotty volunteered with the Pacific Center and Operation Concern, both early LGBT support organizations, and founded Lavender Seniors, an East Bay group dedicated to improving the quality of life for older LGBT people. In recognition of her work, Dotty received tributes and awards from the UC Berkeley School of Public Health, California State Senate, California Wellness Foundation, New Leaf, and was a recipient of the Pat Bond Memorial Old Dyke Award. Dotty's activism extended far beyond the LGBT community. She combined her lifelong love of sailing with her strong pacifist beliefs by helping to organize the Peace Navy in the 1980s. This motley group of boats took advantage of Fleet Week to spread its message of peace. When the Coast Guard tried to establish a 150-yard "security zone" around the reviewing stand to diminish the Peace Navy's visibility, the ACLU of Northern California went to court to protect their free speech rights. Before she passed away in May 2013, Dotty made sure to include the ACLU in her estate plan. Her foresight and generosity as well as her personal legacy of activism will preserve the civil liberties Dotty worked so hard to advance. Barbara Brenner, a much-loved activist and the 2012 recipient of the ACLU-NC’s Lola Hanzel Courageous Advocacy Award, died from complications of ALS (amyotrophic lateral sclerosis) on May 10, 2013 at age 61. Barbara held numerous ACLU roles: a staff person at the Women’s Rights Project at the ACLU of Southern California, legal intern at ACLU-NC, ACLU-NC representative on the ACLU National board, and ACLU-NC board member. Undoubtedly, her ACLU background prepared her well for the work she is most known for: leading Breast Cancer Action and helping define a new kind of cancer activism at the intersection of health, civil liberties, and social justice. Under her leadership, Breast Cancer Action joined the national ACLU’s lawsuit to stop patenting of the “breast cancer genes.” The U.S. Supreme Court ruled in favor of the ACLU in a 9-0 decision. BCA was the only breast cancer organization that would join as a plaintiff in the suit. Barbara’s vision led BCA to become the first breast cancer organization to refuse to accept funding from any corporation that profits from or contributes to breast cancer by polluting the environment. She was also the driving force behind the Think Before You Pink campaign, which challenged pink ribbon cause marketing and companies that raise money for breast cancer causes but also make products linked to the disease. Barbara’s legacy as a truth-teller and a fierce advocate for justice lives on in the work of the organizations she loved dearly and the activists she mentored. 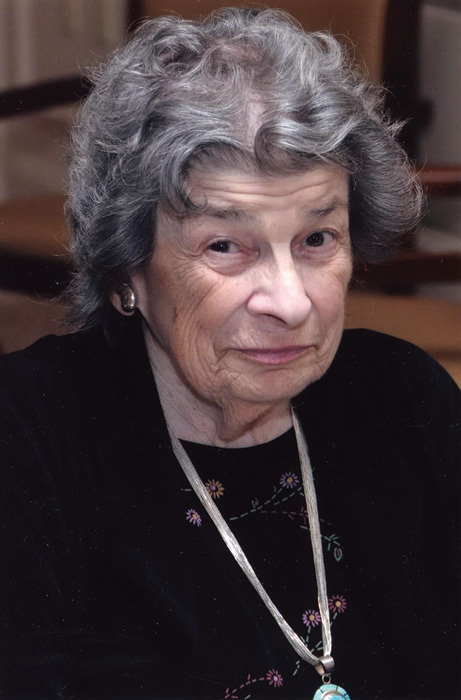 The ACLU of Northern California lost one of its brightest lights when Frances C. Strauss, board member emeritus, died at her home in San Francisco on June 15, 2012 at the age of 94. "Fran was really the heart and soul of this affiliate," said former ACLU-NC Executive Director Dorothy Ehrlich, who collaborated with Strauss for more than three decades. "Fran figured out how to make a difference in an organization as a volunteer—in extraordinary and creative ways that resulted in an enduring contribution." Strauss, a Bronx native and former Hunter College student, began her long association with the ACLU in Chicago in 1953. She worked as the administrative assistant to the executive director of the Illinois affiliate and served on the board from 1956-60. When Strauss and her husband, the renowned medical sociologist Anselm Strauss, moved to San Francisco in 1960, she brought her ACLU commitment with her. Her first project was the establishment of the Complaint Desk, a hotline for people seeking help from the ACLU. Although the Complaint Desk is now a permanent institution at the ACLU-NC, when Strauss created it with then-Executive Director Jay Miller and staff attorneys Joe Remcho and Charles Marson, it was a major innovation. Then, as now, it is completely staffed by volunteers. 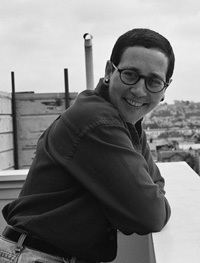 Strauss helped to reorganize the San Francisco chapter and soon became the chapter representative on the ACLU-NC board. Her sharp mind, wit and joie de vivre made her a valued ambassador for the organization. When she launched the very first Bill of Rights Day Celebration in 1975, she filled the Geary Theater and created an instant tradition. Retired Chief Justice Earl Warren himself attended the event, and the first Earl Warren Civil Liberties Award was given to legal pioneer Anthony Amsterdam. The Celebration netted an unprecedented $23,000 and raised the profile of ACLU-NC outside of the courtroom. Strauss continued to organize the annual Celebration and parallel fundraising campaign; at the 1989 Bill of Rights Day Celebration, Strauss was honored with the Lola Hanzel Advocacy Award as an "individual who has made an extraordinary contribution as a volunteer." Strauss, who was elected an at-large member of the board in 1975, served on almost every board committee—Executive, Development, Equality, Field, Budget Management and Student Outreach—and as chair of the Development Committee. In 1980, by then a seasoned fundraiser, Strauss helped design and implement the major gifts campaign. Her strategic view of fundraising not only helped secure a sound financial base for the ACLU-NC, but, as Ehrlich notes, created a real community dedicated to strengthening the organization. In 1997, in recognition of Strauss's all-sided leadership role, she was named the first board member emerita. On the occasion of her 90th birthday, a Board resolution honored Strauss as a "role model in the work for justice, equality and liberty." "Fran Strauss made her mark on the ACLU not in a matter of days, weeks or years, but in her service over decades," said ACLU-NC Executive Director Abdi Soltani. "Two qualities made her accomplishments for civil liberties possible: a lot of heart and a lot of hard work." In 2010, the Development Department wing in the new ACLU-NC building on Drumm Street was named in honor of Strauss. The plaque on the wall will remind future generations of ACLU activists of the inspiring legacy of Fran Strauss and the torch that she carried so that civil liberties would continue to burn bright. 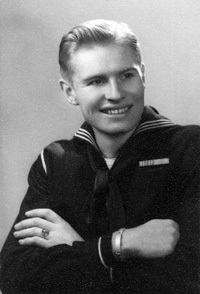 During World War II, Elwood Burton (Burt) Gerrits was stationed in the Treasure Island Naval Base hospital as a medical corpsman on a psychiatric ward for gay sailors who were being discharged. Little did the military know that the young South Dakota native was also gay. After the war, Gerrits remained in the Bay Area until his death in 2008 at age 85. A pioneer in the movement for lesbian and gay equality and longtime ACLU supporter, Gerrits created a lasting legacy of liberty through a generous bequest to the ACLU Foundation, part of which will be used to defend and expand the rights of lesbians, gay men, bisexual and transgender (LGBT) people. Gerrits graduated from UC Berkeley in 1948 and was a committed educator, working as a public school teacher for 35 years, mostly in Piedmont where generations of students fondly remember him as a popular geography instructor. After retiring in 1983, he devoted his time and energy to volunteering for several gay and social justice organizations. 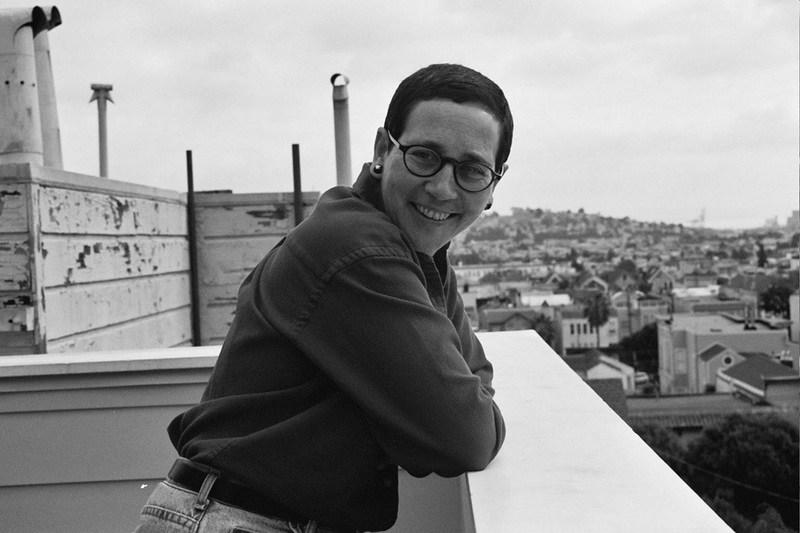 He co-founded UC GALA (the university's lesbian and gay alumni association), served as a switchboard counselor at the Pacific Center (Berkeley's LGBT community center), and was active in the East Bay Lesbian/Gay Democratic Club, GLBT Historical Society, and Mobilization Against AIDS. He also participated in three historic "Marches on Washington" for LGBT equality during the 1980s and 1990s, and was arrested during the 1987 march as part of a sit-in on the steps of the Supreme Court. "We will always remember Burt as a man who courageously advocated for justice, equality, and positive social change," said Development Director Cheri Bryant. "I will also miss his good humor in the face of adversity and his amazing tenacity when faced with setbacks. We are honored to use his bequest to continue the fight for LGBT equality and to defend the rights and liberties that meant so much to him."